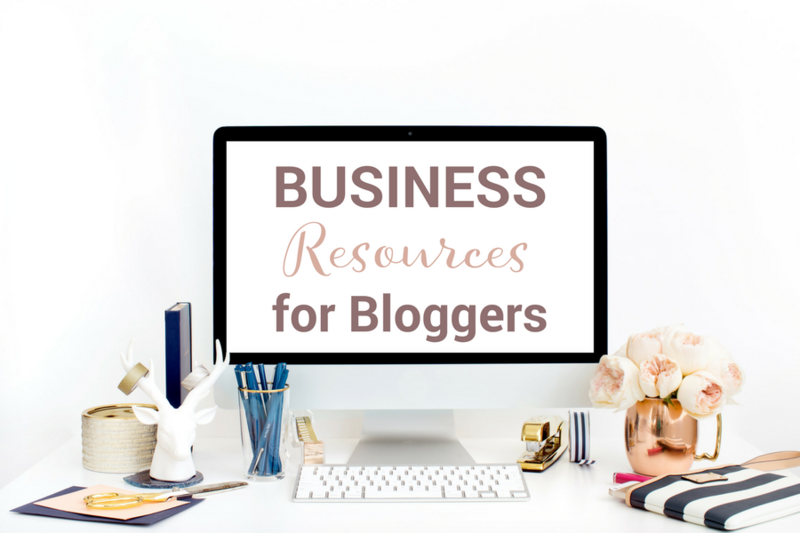 May 16, 2018 By Marnie This post may contain affiliate links. Please read my disclosure for more info. 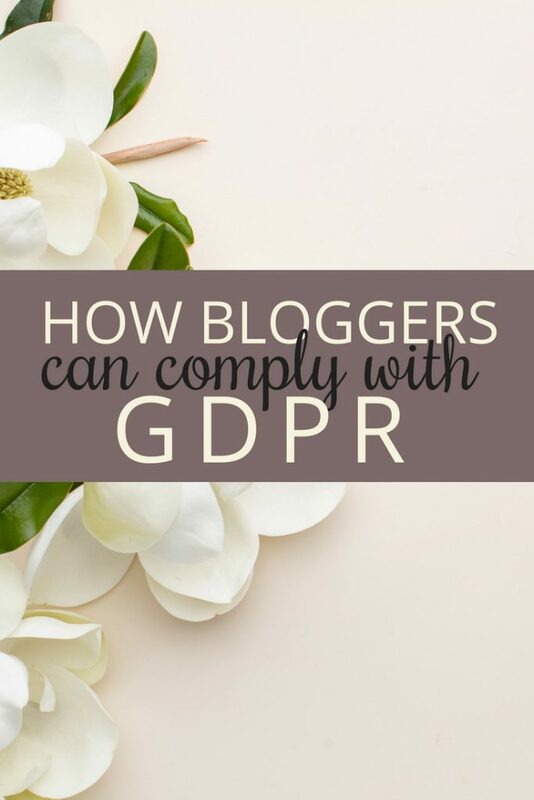 I heard of GDPR many months ago and, at the time, felt I was in a good position to protect myself and my business. I use the double opt-in feature and engage and re-engage my subscribers on an on-going basis. Still I wasn't sure that was enough to comply. I want to make sure I do it right the first time. So, I read and re-read documentation and decided to start with my EU Subscribers only and then put protocols in place going forward on my forms and pages that assures my subscribers know they're safe and that I am 100% in compliance with GDPR. Fast forward several months, and we're a week 'til GDPR compliance is absolutely a must go. ConvertKit has loads of measures to protect you and your subscribers already in place! Accept, Acknowledge, & Embrace the fact that you will be affected by GDPR. 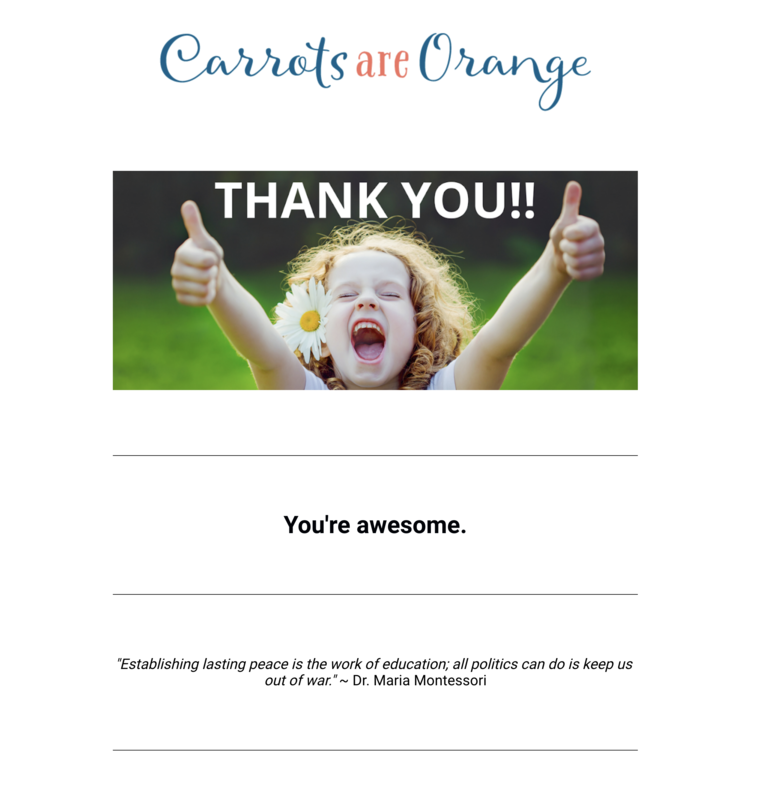 Go into your subscriber list & create a tag that reads “Gave Consent to Receive Newsletter”. Please note that you will have zero subscribers with this tag as you begin this process. Create a segment with subscribers residing in the UK. Within ConvertKit, go into your subscriber list and click “create new segment”. Here you will segment by region = European Union. Then EXCLUDE those subscribers with the tag “Gave Consent to Receive Newsletter”. Now you have your GDPR segment. Name this segment “EU Subscribers Without Consent”. I used ConvertKit's template just for time's sake. It was concise and just what I needed. You may have heard about the new data protection law in the European Union called the GDPR which regulates how personal data is processed. 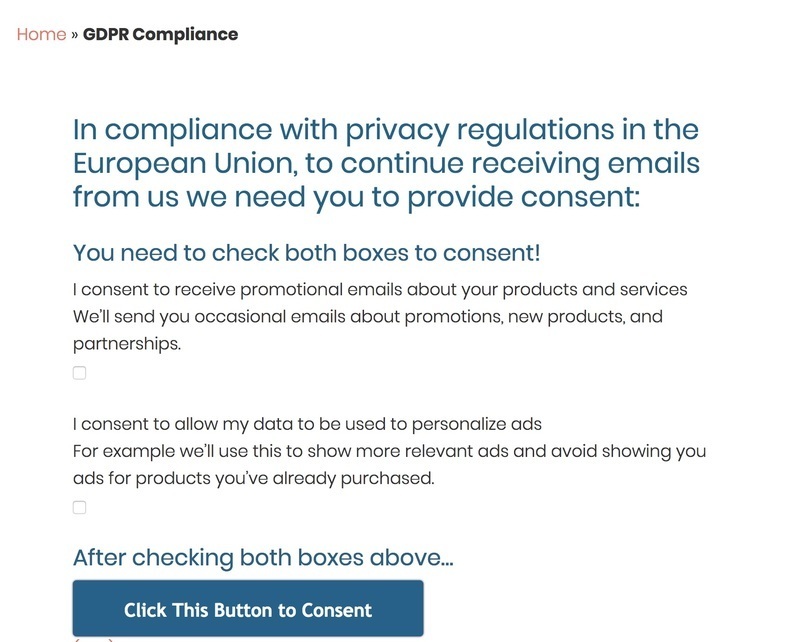 Under GDPR, I need to make sure I have your explicit consent to send you my newsletter and marketing emails. If this is not for you, just click unsubscribe below, and I won’t email you again. The above URL brings the subscriber to a blog page I created in WordPress. 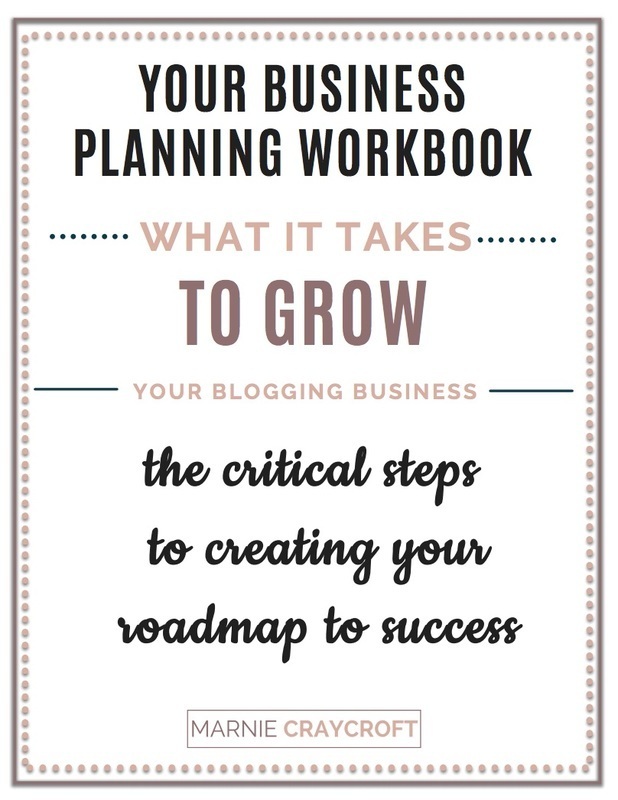 So, go ahead create a page on your WordPress blog. Make this page crisp and clean. You don't want any distractions. So remove ads, remove your sidebar noise, and remove any “subscribe to my newsletter” boxes. Important: You want to be clear that the subscriber must check both boxes in order to consent. Create a thank you page specific to these EU subscribers once the subscriber clicks the button to consent. I also include a coupon code to my store to show my appreciation. So, consider throwing in a little extra love. You're almost done! Now, go back into your email service provider and create a rule that adds the tag “Gave Consent to Receive Newsletter” to any subscriber who clicks on the “Click This Button to Consent” button. That way, she will be removed from the EU. GDPR is impacting loads of companies, big and small, all around the world. You're not alone!